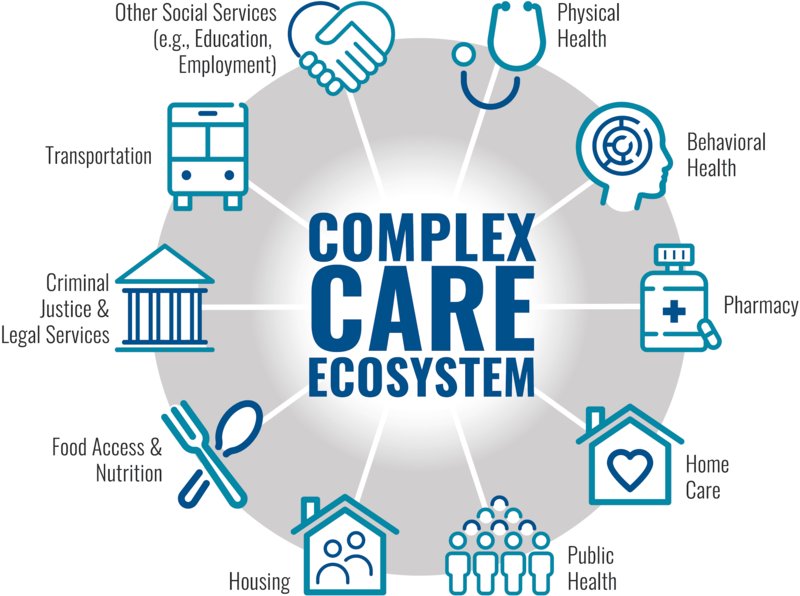 In developing the Blueprint for Complex Care, we heard the need for more local connectivity to create coordinated systems of care for individuals with complex health and social needs. To address this concern, the National Center will hold three convenings of regional complex care stakeholders across the country to address complex care barriers in their own communities. This project aims to facilitate information sharing and collaboration on a regional level and to foster ecosystems of complex care, as outlined in the Blueprint for Complex Care. The regional convening Request for Information is now closed. If you have questions about the process, please reach out to Rebecca Sax at rsax@camdenhealth.org. Host organizations will be required to develop a description of a local/regional barrier that addresses complex health and social needs, contributes to complex care ecosystem development, and is multi-sector in nature. Some examples include: complex care model implementation support, lack of data sources or data-sharing mechanisms, or lack of community resources. Host organizations should also discuss the role of individuals with lived experience in the complex care ecosystem and how they may be involved in the development of the convening.